Please shop through MHR to order your child’s uniform and support our school. Items sold in the school are approved for wear at Most Holy Redeemer for the 2018-2019 school year. Do you have questions? Please do not hesitate to submit them here. Note: if anything is the wrong size or not to your standards, please return the item to the office with a substitute request note. The purpose of Most Holy Redeemer School’s uniform is to create a look of unified equality among our students. School uniforms instill a sense of pride in our school and they help to foster a sense of pride within the student body. MHR believes that a school uniform can improve learning by reducing distraction, sharpening focus on schoolwork and making the classroom a more serious environment, allowing students to perform better academically. 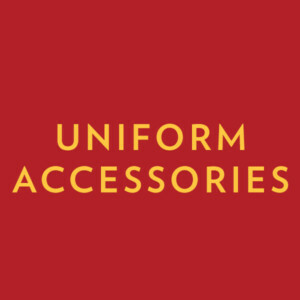 Many Most Holy Redeemer School uniform items may be purchased below. We have added open bottom gym sweat pants with MHR logo as an approved gym option for students in 6th, 7th, or 8th grade only. 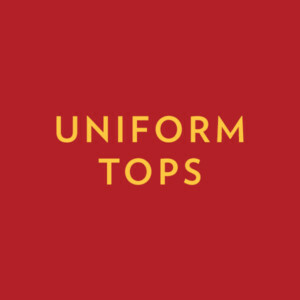 Articles​ ​of​ ​clothing​ ​worn​ ​under​ ​the​ ​uniform​ ​shirt​ ​must​ ​be​ ​white—colored​ ​or​ ​printed​ ​shirts​ ​should ​not​ ​be​ ​worn under​ ​uniforms. 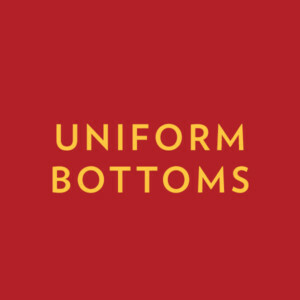 Note- All updates to the Uniform Policy will have a one year leniency roll-out time period. *There is a choice in 4th grade as to whether a skirt or jumper is the preferred and most comfortable choice for daily uniform wear. That choice is entirely at the discretion of the parents and child. Jumpers and skirts are not available as part of our online school store. Instead, they can be purchased from retailers like Schoolbelles and Schools R Us. Jewelry must not be excessive. No dangle, hoop or large earrings are to be worn. Students may wear only one earring per ear. If necklaces are worn, they are to be inside the uniform⎯out of sight. Choker-type necklaces may not be worn. In general, facial make-up may not be worn. Creams and powders designed to mask acne are permissible. However,​ ​the​ ​sock​ ​must​ ​be​ ​a​ ​solid​ ​color​ ​with​ ​the​ ​small​ ​black​ ​or​ ​white​ ​logo.​ ​Students should​ ​try​ ​to​ ​hide​ ​the​ ​logo​ ​by​ ​folding​ ​over​ ​the​ ​sock. Sweatpants​ ​may​ ​not​ ​be​ ​altered.​ ​​​Sweatpants​ ​that​ ​have​ ​been​ ​altered​ ​must​ ​be​ ​repaired​ ​or​ ​replaced. Sweatpants​ ​are​ ​to​ ​be​ ​worn​ ​at​ ​the​ ​ankle and not rolled at the waist. Sweatpants​ ​that​ ​are​ ​tattered​ ​at​ ​the​ ​bottom,​ ​must​ ​be​ ​replaced. Students​ ​have the option to ​wear​ ​warm​ ​weather​ ​uniforms​ ​from​ ​May 1 – October 1.​​ ​​​This includes the opening of each new school year. 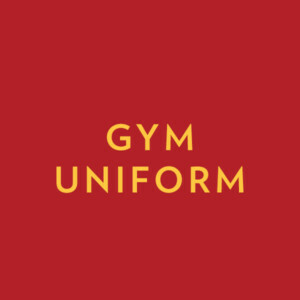 The​ ​warm​ ​weather​ ​uniform​ ​is​ ​the​ ​same​ ​as​ ​the​ ​warm weather​ gym​ ​uniform above.